Do you have questions about Open Educational Resources (OER)? 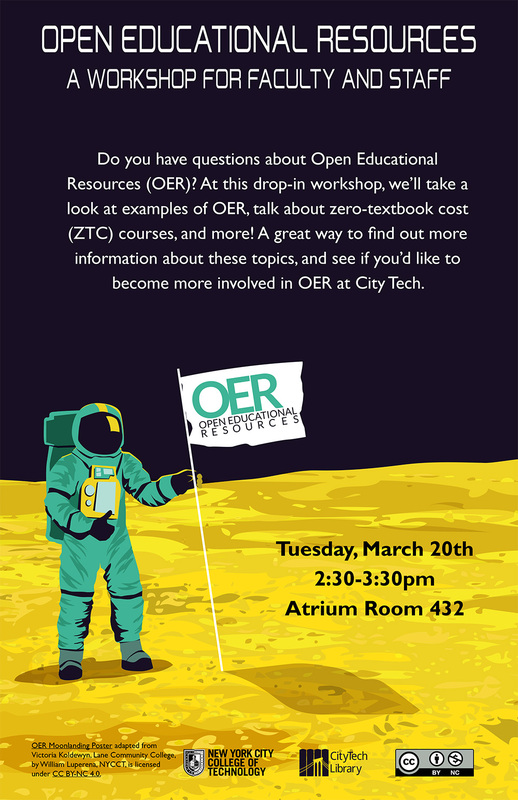 At this drop-in workshop, we’ll take a look at examples of OER, talk about zero-textbook cost (ZTC) courses, and more! A great way to find out more information about these topics, and see if you’d like to become more involved in OER at City Tech.